Kaju Katli requires only a few ingredients and can be prepared in a jiffy. But you need to keep certain things in mind to get it right. I have given the tips towards the end of this post. Have a Happy Diwali and stay safe !!! 1. Powder the cashew in a dry grinder/mixer. Make sure the jar and lid are completely dry. The cashews should be in powdered form and not become pasty or oily. 2.On a low flame heat sugar and water in a thick bottomed or non stick pan or kadai till all the sugar is dissolved in the water. There is no consistency in the sugar syrup required like one string or two string. Just let the sugar dissolve in the water and then proceed with the next step. 3. Add the cashew powder and stir the cashew mixture on a low flame till it starts thickening. Cook the cashew mixture for approx 7-9 minutes till the whole mixture starts to come together. 4. Meanwhile grease a plate or a tray and keep aside. 5. Remove the whole lump of the mixture from the pan and place it on the greased tray. 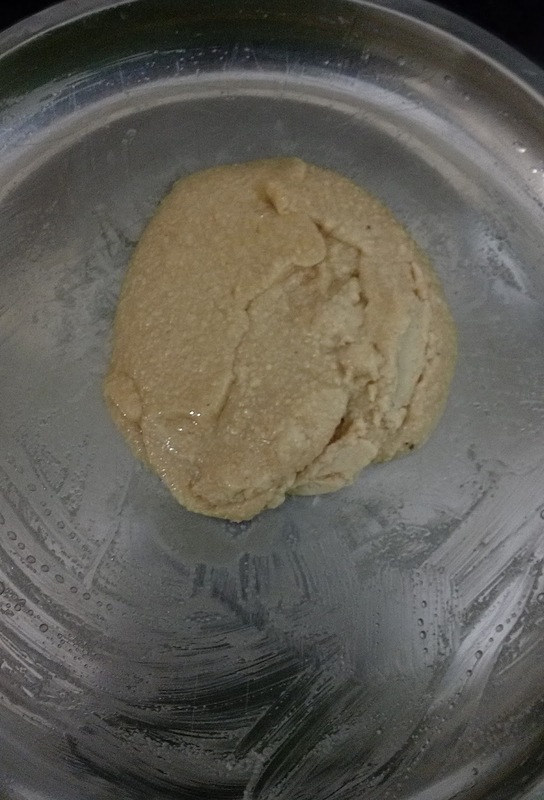 6.When the heat in the mixture is hot enough to handle, knead the cashew mixture. 7. 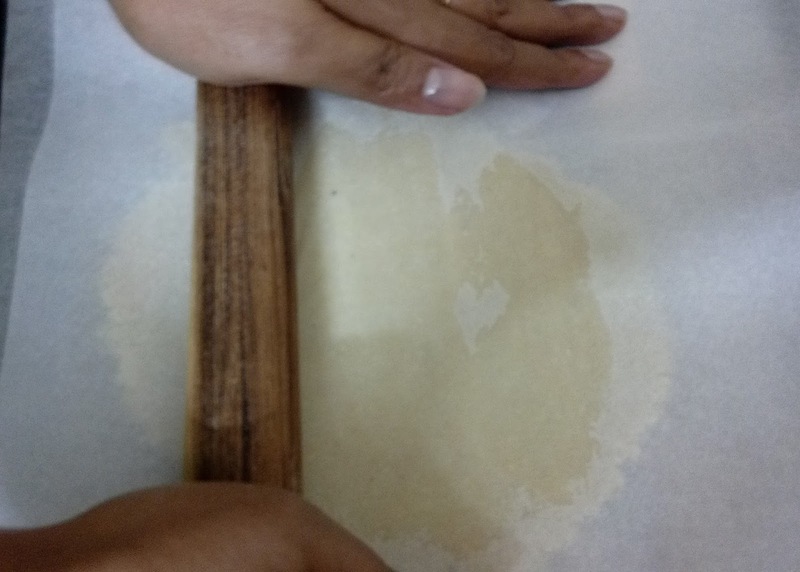 Place a butter paper on top and then using a rolling pin, roll gently the dough from all sides till you reach a thickness of 3-5 mm in the dough. Remove the butter paper and let the rolled cashew dough cool. 7. When completely cooled, using a sharp knife cut the cashew dough giving square or diamond shapes.Gently remove the kaju katli with a butter knife.Serve the kaju katli straight away or keep in an air tight container. 1. You should powder the cashews carefully making sure not to overdo it and make it pasty. 2. The mixture may be a bit grainy, but knead the mixture as mentioned in step 6. This will ensure a smooth finish finally.